Our people turn problems into opportunities. That was true back in 1970, when Dirk Brinkman and his treeplanting team walked into their first clearcut. It's true today, as the Brinkman Group and its partners build business-based solutions to the world's most complex environmental challenges. Over the years we’ve planted more than one billion trees. Having our hands in the soil all this time has taught us how natural systems work together, supporting and enriching human communities. Without stewardship, without balance, there is no economy. We’ve learned how to plant a sapling — or an idea — so its roots grow strong and deep. From silviculture we branched out into rainforest renewal, returning degraded pasture in Central America to productivity. Not only do those lands now yield high-value tropical hardwoods, they provide good jobs to local families. We apply the same principles in our work for First Nations in British Columbia: managing local resources responsibly, so local communities benefit. Our teams have taken that expertise into cities, cultivating living infrastructure with a dual function: On one hand, native species promote urban liveability. On the other, these restored green spaces save taxpayers money — mitigating erosion and flood risk, filtering water and air. At a larger scale, it's this ecosystem enhancement that provides our best chance at restoring balance to a fragile planet. Almost half a century ago, Dirk Brinkman traveled west to test his mettle in the B.C. wilderness. After a few years of lumberjacking, he and a group of friends won one of the first tree planting contracts in Canada opting to plant trees instead. 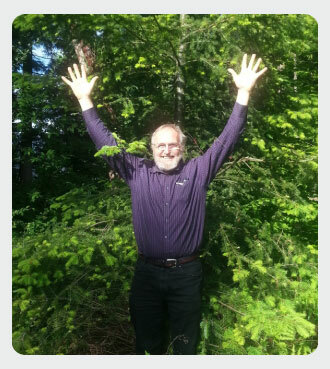 Those saplings have grown up fast, and once he and co-founder Joyce Murray incorporated in 1979, their tree planting business grew quickly too, transforming the world of environmental entrepreneurship along the way. Brinkman and Associates Reforestation Ltd., since has redefined the art and science of forestry. Planting trees is no longer seen as an investment in the distant future. It's part of the cost of cutting timber today. But thanks to Dirk and his amazing team of technical innovators, the forests we plant now are healthier — delivering a better-quality yield the next time. Those lessons have traveled a long way. Having put Canadian forest policy on a sustainable track, Brinkman started seeing other troubled ecosystems in need of market-driven solutions. From the tropical forests of Central America to the traditional lands of indigenous communities in Northern BC, Brinkman Group has built businesses out of re-balancing vital earth systems. From the water in the soil up to the carbon in the canopy, healthy forests make healthy economies. It's a simple idea, but as Dirk would say, our future depends on it.